D'Ambrosio architecture + urbanism Web Design & Dev. Nautilus House	Graphic Design, Web Design & Dev. Therapeutic Meals Video, Logo, Graphic Design, Web Design & Dev. Pacific Essences	Graphic Design, Web Design & Dev. James Gauer Architecture + Design Web Design & Dev. Spa Space Graphic Design, Web Design & Dev. E Y Properties Ltd. Photography, Graphic Design, Web Design & Dev. Trailblazer Business Consulting Illustration, Web Design & Dev. Radio Seaport	Logo, Web Design & Dev. Caribbean Property Development Web Design & Dev. Mercedes Ghosh Jazz Vocalist Web Design & Dev. Crooked Goose Bistro	Photography, Menu Design, Graphic Design, Web Design & Dev. Excel Physiotherapy	Logo, Graphic Design, Web Design & Dev. Blooms 'N Loons + Gallery 212	Logo, Graphic Design, Web Design & Dev. Large Scale Private & Public Art Projects: Construction & Consultation. Print & Display Services: Epson wide format digital printing; Aluminum and bamboo display and banner stands: portable displays and trade-show displays. Print brokering services available. Our team has extensive experience designing graphic materials and programming websites. We strive towards a common goal of developing highly functional and elegant print materials and websites — documents and sites that people can comprehend immediately, navigate easily and find what they need quickly. We are committed to achieving your goals, while providing exceptional design to your project — design that embodies your principles, and those of your project, while conveying information in a clear, intuitive manor. We develop solutions that allow for ease of maintenance and updates through scalable and effective content management systems that are suitable to your needs, yet inexpensive. Our programmers possess superior skill at programming fast, trouble-free sites using the latest standards and most efficient approaches. We are excited to work with you from concept to delivery — to design and develop a website that will exceed your expectations. Our design and production processes produce excellent results with good communication: first by defining clear and concise goals for each stage of development and then by providing the best solutions while ensuring opportunities for your review during the work flow. As demonstrated by our recent projects, we have the ability to produce intelligent, sophisticated designs with enhanced functionality, at various project scales. Together, as team of web development specialists, we have the collective skill and experience to create and deliver successful graphic and web solutions. One night, while walking along the Songhees Walkway, I caught the view of a crouching heron that would become the inspiration for my sculpture. Standing on one leg, motionless, this heron would have been easy to miss had my mind’s wandering thoughts not paid heed to my peripheral vision, which was directing me to appreciate the beauty of the moment before me. I stood there with that bird for over half an hour, contemplating his superb focus and patience while also admiring his delicate silhouette and graceful thinness. Was there ever another bird so exquisitely efficient in function and yet so meditatively beautiful in form? Living and working on the Victoria waterfront has afforded me many opportunities to observe and reflect on the habits of the local heron population, particularly their posture of crouching in still waters in wait of fish. During the daytime, I would compare the heron’s ways to those of the other birds — the noise and confusion of the vulturous seagulls surrounding the heron and hoarding any available fish remnants — to the hectic ways of the people of the city, with their cars, planes, boats, sirens and so forth. I admired the “way” of the heron, whose stillness is extraordinary. Does one ever become likewise, unaffected by all of the busyness and distractions of the city? The heron’s uncanny punctuality also struck me, as we’d come to meet at that same spot most nights thereafter. Now that seasons and habits have changed, when he doesn’t show up, I can go to Herons Landing to see him crouching in his newly conceptualized habitat, atop a custom glass tile mosaic “water” motif, amidst rust laden rocks. As a major landmark and beacon to the city, the Crouching Heron is clearly visible from the road; yet, it is by navigating the sculpture on foot that the steel bird is brought to life. The scale of the work, standing at 2.5 m, was determined such that passersby would become the metaphorical “flock” surrounding the Crouching Heron. This is a proud bird: a satisfied and observant one who is at once impervious to, and yet keenly aware of, his surroundings — and us..
Concept: renderings and design development drawings, steel cut pattern, etc. Project management: fabrication, supervision, etc. Steel finishing: grinding, polishing, coating, etc. One of eleven paintings totalling over 250 sq. ft. of work, this large 9’w x 6’h boardroom piece incorporates visual themes, styles and materials consistent with Sequel Naturals’ vision, message, products and workspace. In the style of abstract mysticism/symbolism, these paintings and the sculpture feature visually compelling design and colour motifs as well as the bold palette of the company’s natural product source ingredients and their native locations. Salute to Pygmalion painting by J. Gerome based on the classic story of Pygmalion, a poor artist in love with his sculpture. Jean-Leon Gerome, the prominent artist of Orientalism movement, was a keen follower of photography and adopted this new media for his work. He was an indefatigable traveller to the Middle East, frequently accompanied by a photographer. Gerome’s technique was of impeccable precision, and some of his paintings have almost visual reality and crispness of Photorealism. Derek’s Pygmaliondrew inspiration from Gerome’s versions of the mythological story of Pygmalion, an artist who fell in love with the sculpture he created. The image depicts the moment when the sculpture of Galatea is brought to life by Pygmalion’s kiss. 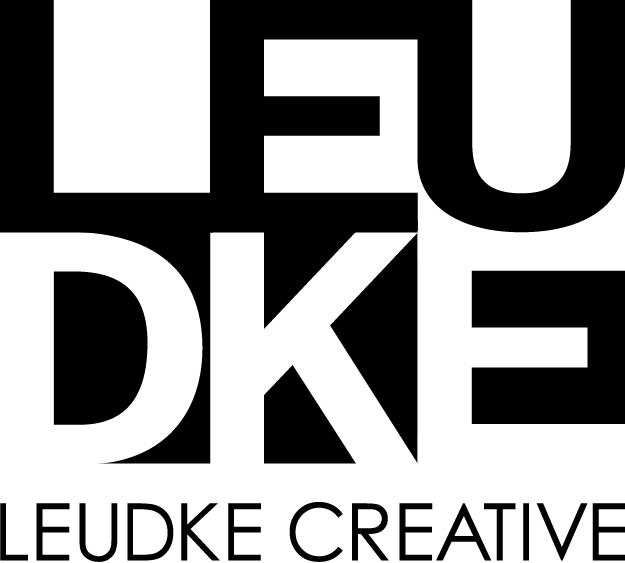 Copyright © 2004– Leudke Creative. All rights reserved.